Norya is originally from Algeria. She worked, for many years as a events organizer in the trendiest places in Paris, London, Cannes and Marrakech. Her passion for fashion is the driving force behind her brand. Her inspirations reflect a mix of French, Moroccan, Berber and Algerian cultures. Very much like a chef, she cooks up her collections, adding a little bit this… and that. In love with Africa, Norya’s ambition is to share that love all over the world. The brand was born in March 2013 in Marrakech. Norya AYRON’s creations are limited editions only. A choice of high end materials and flamboyant prints is NORYA AYRON’s trademark. Elegance,feminine and comfortable silhouettes define it’s funky style. 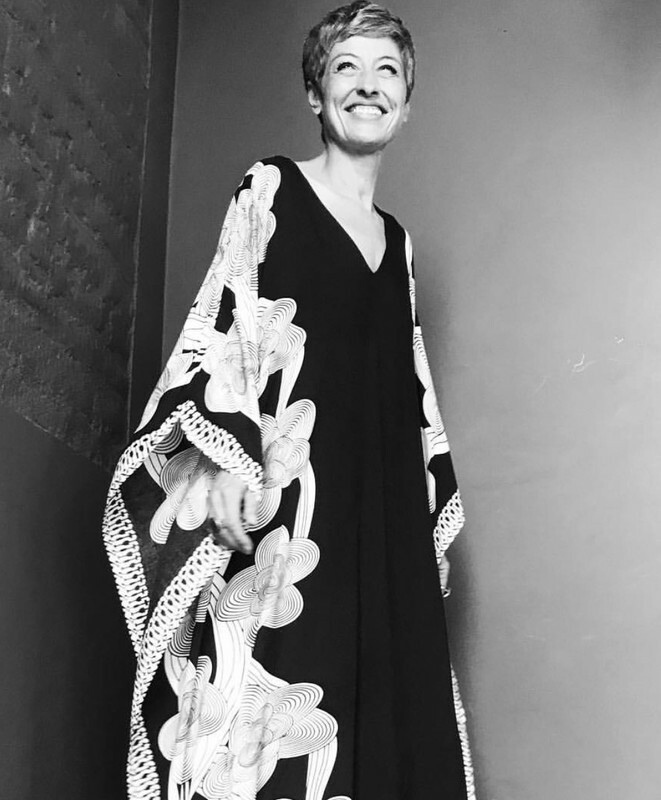 Norya AYRON is a mixed of traditional Moroccan craftmanship and a modern « couture » vision. The brand stems from a deep desire to help women of the old city (medina),for them to make a decent living and eventually emancipate. The very young brand received international acclaim when Sharon Stone, Monica Bellucci, Maggie Gyllenhall and Juliette Binoche and Mos Deff were spotted wearing her designs. The very young brand received international acclaim when Erykah Badu, Yasiin bey, Sharon Stone, Monica Bellucci, Maggie Gyllenhall and Juliette Binoche were spotted wearing her designs. Norya has worked, for many years as a events organizer in the trendiest places in Paris, London, Cannes and Marrakech. Part of the production is carried out by Moroccan artisans in exceptional expertise. Some items such as bags are made entirely by hand. Collaboration with artisans is part of the mode of production.